Tranquility is a high-end, flip-free pillow top mattress with multiple features belonging to Perfect Sleeper collection. It also features ACQ (Advanced Comfort Quilt). The ACQ technology benefits the customer through its unique feel and comfort level. 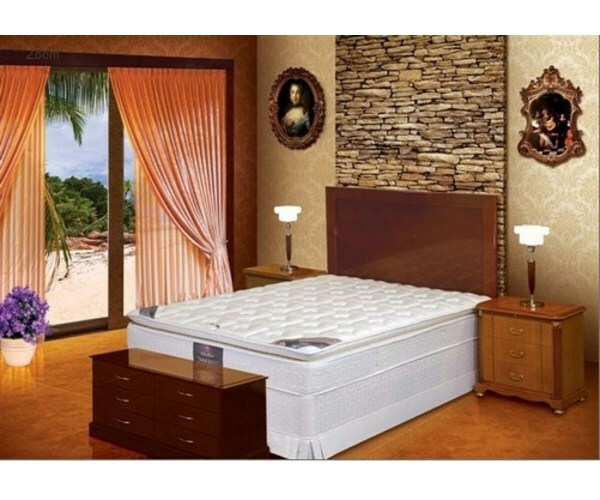 The ACQ technical research focuses on the quilting since the body comes into contact with the quilted panel which is the surface of the mattress. The ACQ Technology blends in sophisticated convoluted layers of quilting to the mattress, creating specialized comfort zones. Each of these quilted types has a relatively denser zone in the center one-third, providing additional support to the spine. Lush layers of polyester wadding passes through the Foam convolutions to provide supreme comfort. The ACQ layers are unique for the plush, luxurious feeling and breath ability.The spring system used is called the Posture Spiral spring system, patented by Serta. This spring system is fully heat treated, has continuous coils and have helical wires running from head to toe and minimizes partner disturbances.The convoluted layer of Foam in the padding layers offers air columns for cushioning effect. This mattress has a height of 10 inches.